A passionate retrospective for Ghibli fans young and old. I firmly believe that Studio Ghibli is one of the best animation studios in the world. So does Michael Leader, digital lead for Film4 and regular host of Truth & Movies, a film podcast by Little White Lies magazine. Six weeks ago, he launched a new podcast called Ghibliotheque with Jake Cunningham, a commissioner for Channel 4's short film program Random Acts and, more importantly, a relative newcomer to the company's work. Every week, they watch a different Ghibli movie, give their honest assessment and explain the circumstances surrounding its release. It is, without fail, a thoroughly entertaining and informative listen. In theory, anyone could have made it. The pair, though, are talented podcasters and talk about movies in a truly smart, thoughtful way. I love the bite-sized history lessons at the start of each episode, too, because they always teach me something new about my favorite movies. Leader covers everything including the director, how the film was funded, and the way it was released both domestically and internationally. Did you know, for instance, that Miramax (then owned by Disney) handled the release of Princess Mononoke in the US? And that Studio Ghibli mailed a samurai sword with a note that said "no cuts" to co-founder Harvey Weinstein? It's a wonderful way to kick off each episode. The review section that follows is just as interesting, however. Leader often recounts the first time he saw the film and how his feelings have changed, or stayed the same, since that first viewing. Cunningham, meanwhile, does an admirable job bringing an outsider's perspective to the conversation. He knows which movies are considered 'classics,' but doesn't have a problem challenging Princess Mononoke's convoluted mythology, or the sudden and arguably unnecessary marriage proposal at the end of Whisper of the Heart. Occasionally, they're joined by wonderful guests such as film journalist and broadcaster Beth Webb and The Telegraph's Robbie Collin, too. 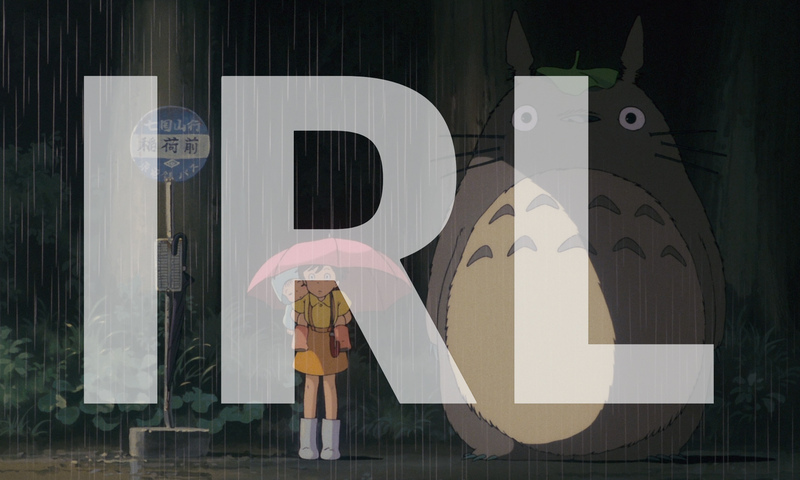 The roughly 30-minute podcast is perfect for Ghibli fans and newbies alike. There are six episodes at the time of writing, discussing My Neighbor Totoro, Grave of the Fireflies, Only Yesterday and more. The show will be going on hiatus soon -- it was launched, after all, to coincide with a now-complete Ghibli retrospective on Film4 -- but could continue with enough listener support. If, like me, you enjoy the pair's cheery conversations, be sure to tell them on Twitter. I'd love to see them crack on and review all 22 of Ghibli's mostly wonderful (sorry, Tales from Earthsea fans) movies.